Hey Brooklyn College, Come Get Served! We Can’t Wait for Spring…how about you? OPENING FOR THE SPRING SEMESTER! opens for the Spring 2011 semester! Brooklyn College Coffee Wants You to Apply! 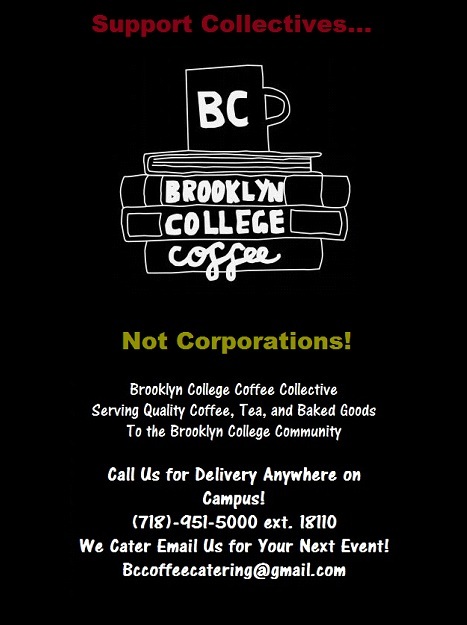 Brooklyn College Coffee is a student-run, collectively managed business, the first of its kind at the City University of New York! This project was initiated in the Spring of 2009 and is intended be a trendsetter in our community by serving high quality, direct trade and organic coffee and tea beverages at a low cost and by modeling environmentally sustainable practices and a cooperative business structure. With oversight from the Student Center Director, the collective is staffed and managed by Brooklyn College Students! Collective members will be expected to commit at least 20 hours per week during the academic year, including both staffing the café and fulfilling managerial responsibilities. 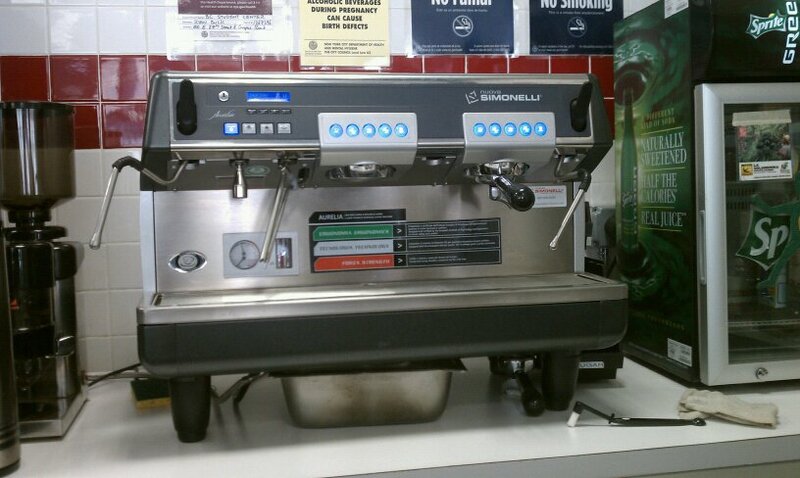 NOTE: Brooklyn College Coffee can be found on the first floor of the Student Center! Email Brooklyncollegecoffee@gmail.com will application inquiries! We deliver. And we cater! We deliver anywhere on campus! Contact us @ 718.951.5000 ext. 18110, or email us @ bccoffeedelivery@gmail.com. Thats right! Coffee, tea, and delicious homemade treats from BC Coffee could be at your next gathering! For more information on pricing and placing a catering order, email bccoffeecatering@gmail.com. You’ve seen us at the Student Center, maybe you’ve ordered coffee or delicious pastries from us. After some time of trailblazing foundational work to get our coffee collective running, CUNY’s first ever student run business is having its GRAND OPENING this Thursday, October 7th, 2010 on the 1st floor of the Student Center. Stop by during common hours, from 12:15pm-2pm We would like to invite you to join us in celebrating the official opening of BC Coffee. We like to think this is a triumph not of just the collective members, but also for those that supported us and for the larger Brooklyn College Community. We’re looking forward to seeing you at our semester kick-off event! Enjoy some direct-trade coffee for only $0.99, all day! And pair it with a tasty cookie!